Sepp Blatter, the banned president of FIFA, called out the organization's American sponsors on Tuesday, saying they will not end their sponsorships even if reform demands are not met. "Companies, commercial partners are queuing up to get in," Blatter told The Wall Street Journal. "If the Americans want to leave, others will come. But they don't want to get out ...They won't leave." FIFA's Ethics Committee ruled earlier this week that Blatter had broken the body's rules relating to conflicts of interest, breach of loyalty and gifts. Blatter has been banned from all football-related activities for eight years. Many of the group's corporate sponsors had been pressuring him to resign. The organization's American corporate sponsors, including Visa and Coca-Cola, did not immediately respond to requests for comment. But a McDonald's spokeswoman did issue a statement to The Wall Street Journal. "Mr. Blatter's comments do not reflect the gravity of the situation for FIFA and we previously called for him to step down," she said. 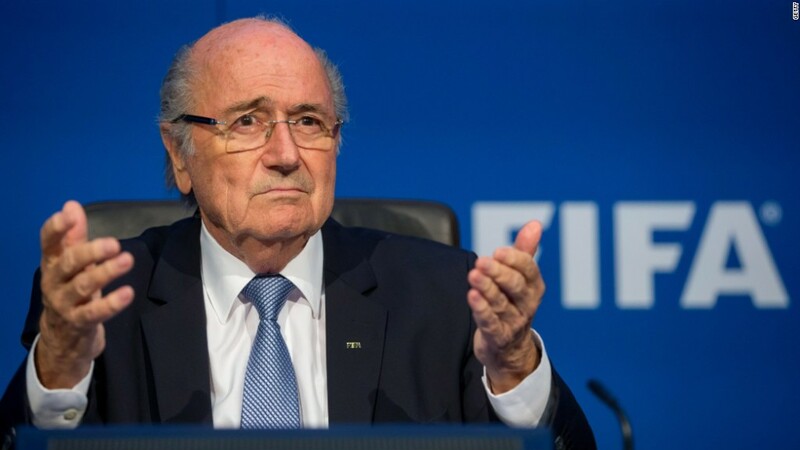 "FIFA must now urgently implement robust and meaningful reforms with appropriate independent oversight." FIFA, soccer's governing body, has been under siege since seven of its members were arrested and 14 senior executives were charged in May. Extraditions and criminal charges followed as federal prosecutors in the United States continued to investigate the organization. The soccer association collected $1.6 billion in sponsorship between 2011 and 2014, a period that included the most recent World Cup, according to IEG, a U.S. research firm which tracks sponsorship spending. Coca-Cola (CCE), McDonald's (MCD), Visa (V), Adidas (ADDDF) and AB InBev released a joint letter in early December demanding action from FIFA. They want not only reform but long-term, independent oversight. "It is abundantly clear that [soccer] fans and FIFA's commercial partners will no longer accept anything short of full transparency," FIFA said in a statement. FIFA has agreed to some governance changes, including a "code of conduct" for commercial partners that it will post on its website. A proposed package of additional reforms includes more independent committee members and oversight from a fully independent audit and compliance committee. There would also be term limits for senior officials, disclosure of salaries, the creation of a board of directors and more women executives. The reform package will be formally voted on in February.